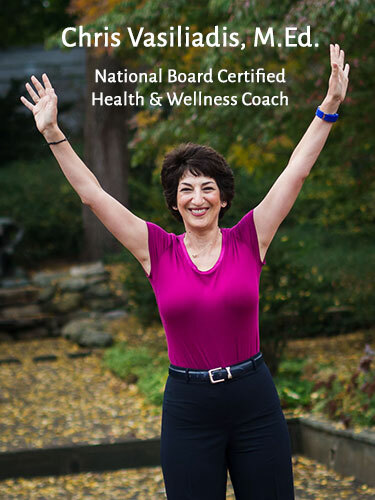 Hi, I’m Chris Vasiliadis, National Board Certified Health & Wellness Coach. I believe that prioritizing your well-being is the secret weapon to being engaged in and successfully leading your work and non-work life. I see optimal health as a tool, enabling you to contribute in ways important to you. It makes me sad to see women bouncing from one thing to another on their “to do” lists, putting their health on the back burner, thinking that’s the way their life has to be. Instead, you can excel in your performance while preserving and even enhancing your well-being. Want to stop mindlessly “autopiloting" through life? Has your health and wellness taken a back seat for too long? Are you at or approaching burnout? Are you struggling with excess weight, and want to eat and move as part of a healthy lifestyle? Do you have sub-par numbers for cholesterol, blood sugar and/or blood pressure? Do you want to break the cycle of a poor family health history? There are countless approaches for attaining your desired level of wellness. I help my clients determine the right mix that works for them and gleefully witness the positive ripple effects of their new habits. Take the next step to elevate your well-being! Raising one hand that you’re ready to change opens the door to raising both hands in your future victory. 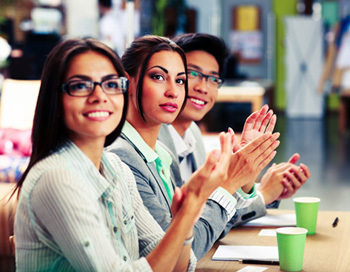 Looking for a dynamic lunch and learn wellness program at your company, or engaging speaker at your professional networking event or conference?